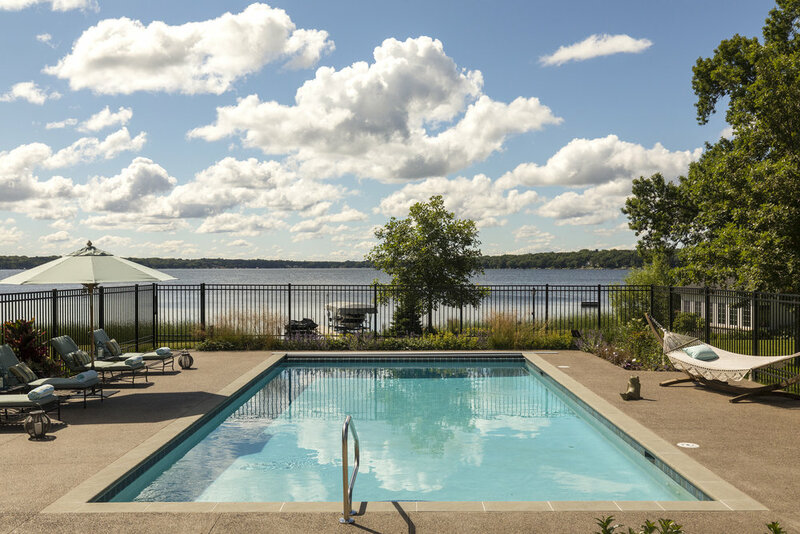 Adding a lakeside pool for these homeowners became an opportunity to address a foot-traffic issue that they’d discovered only after living on White Bear Lake for a while. They loved entertaining in the yard and at the waterfront, but guests often used the living-room doors to access the home instead of the intended entrance near the garage that led to a mud room with flooring more appropriate for wet feet. 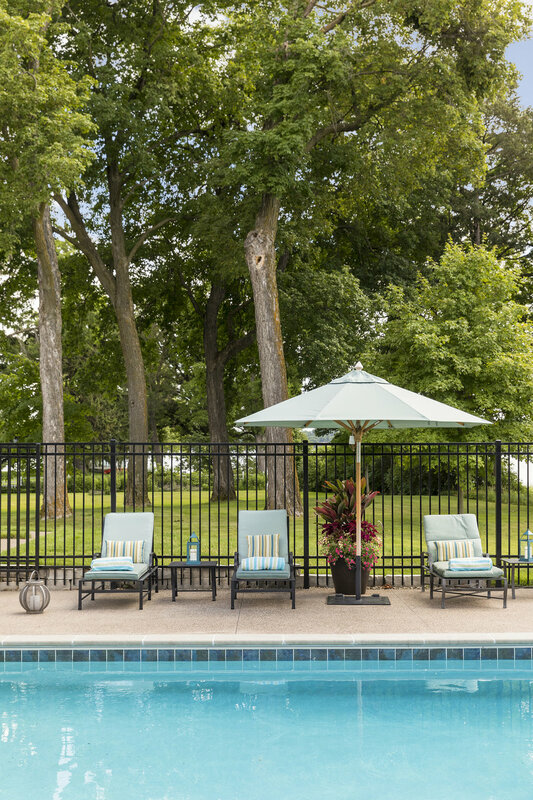 The couple called on NewStudio to integrate a new pool design with the home’s existing hot tub and patio, while maintaining the home’s breathtaking views of the lake—and somehow keep those wet feet out of the living room. NewStudio oriented the pool near the preferred back door, reconfiguring the vestibule to point straight at the pool and lake to create a more obvious and inviting access. Stone planter walls connect the pool design to the hot tub enclosure and existing walls. A bump-out behind the hot tub, with complementary roof details and stone cladding, provides handy equipment storage. Welcoming and relaxing, this pool design fits the home in every way.